Earlier this year, I wrote a post on my goals for 2014. My goal #1 was to keep science real by connecting my students with real scientists. We regularly hear that STEM (science, technology, engineering and maths) will be essential to our economic future and hence it is vital to engage all of our students in STEM. However, there are many statistics that our students are switched off from STEM. From surveys in my own school, many students say they do not want to pursue post-compulsory studies of science because they don’t know what kind of careers science will lead them to. Ask any student what a scientist does and they will most likely give a very narrow, stereotypical view. Like I said in my previous post, most students will know an accountant, a plumber, a builder, a lawyer, but they are very unlikely to know a scientist. So for the past year I have gotten my school in a program run by the CSIRO called Scientists and Mathematicians in Schools (SMIS). SMIS pairs a school with a practising scientist (or mathematician) who will work with students, teachers and schools on a range of activities from talks about science as a career to running lessons on specific content. My school’s partner scientist is Dr Melina Georgousakis, a scientist specialising in immunology and a government advisers on vaccinations. In a year she has done two general talks on what it’s like to be a scientist, one specific talk on how vaccinations work to Year 9s (really useful as it was held a week before students were scheduled to receive vaccinations) and a lesson on how the immune system works with Year 12 Biology students. My school were also lucky enough to have Dr Cameron Webb speak to them about research on mosquitoes and mosquito-borne diseases. Cameron even brought in a range of dead mosquitoes for students to examine under the microscope. It is a great example of how scientists can work with schools to provide learning opportunities for students that would otherwise be difficult to organise. 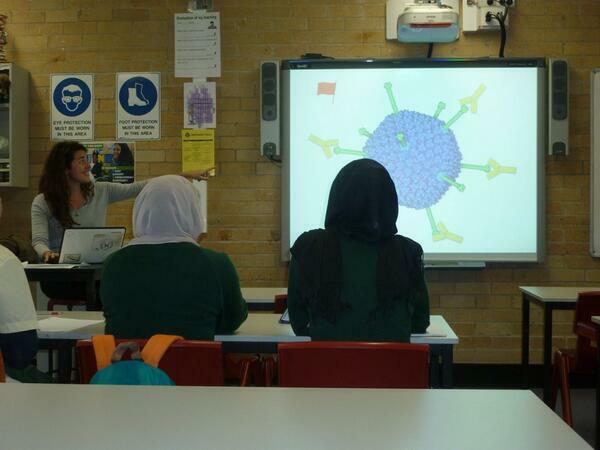 Dr Melina explaining how the immune system works with Year 12 Biology students. 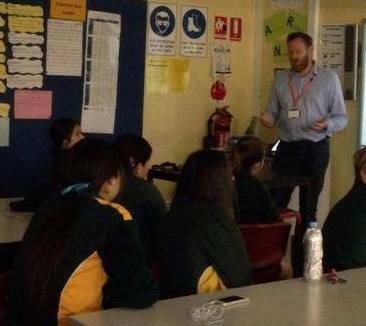 Dr Cameron Webb sharing his work and life as a scientist with Year 9 students. 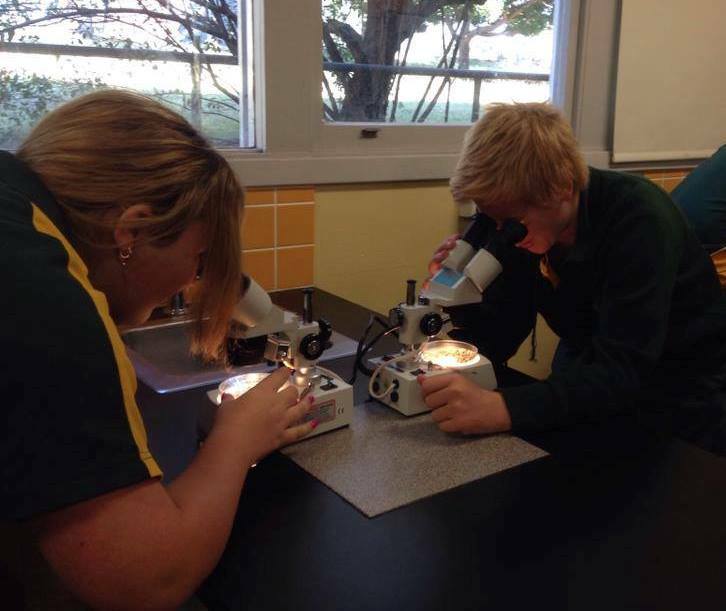 Students examining mosquitoes under the microscope in a lesson with Dr Cameron Webb. While utilising social media and web conferencing tools are useful to connect students and scientists with ease, there is nothing like having a real scientist connect and work with students in the flesh. Since my school’s involvement with SMIS, our students are more aware of careers in science (as shown in our student evaluation surveys) with some students being inspired to work in the fields of our partner scientists. The SMIS program has done wonders in helping to lift the profile of science. It is vital that students can refer to real faces when they are talking about what scientists do and science as a career. It is also essential that students hear and see first-hand the diverse things that scientists do in their day-to-day jobs. If you’re in an Australian school, I highly recommend contacting CSIRO and being involved in their SMIS program.